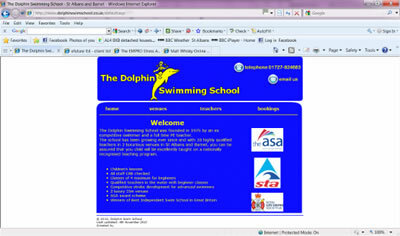 Efuture has developed and implemented a new website for The Dolphin Swimming School - a swimming school offerring lessons to children around St Albans and Barnet. 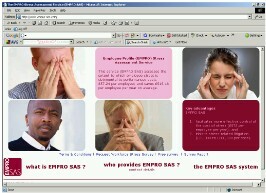 Efuture has developed and implemented a website for a new business EMPRO SAS - a stress assessment service. EMPRO SAS assesses the extent to which employee stress is detrimental to performance. SohoWhisky.com is an online shop from The Vintage House. 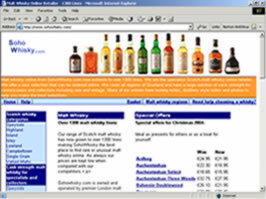 With over 750 lines Sohowhisky.com probably offers the largest selection of Scotch whiskies anywhere in the world. This site is implemented using Intershop with a WorldPay online payment gateway.